Kinneil House is an attractive mansion based around a late medieval tower house. 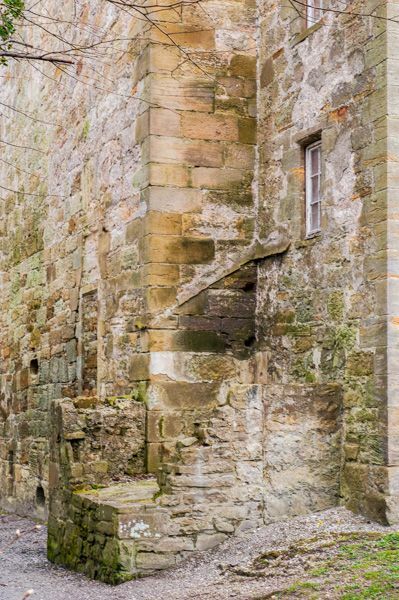 The oldest part of Kinneil House is a 15th-century tower house. 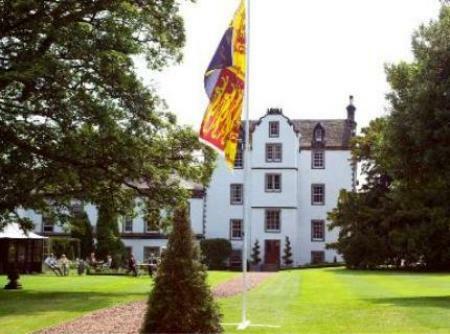 The medieval structure was rebuilt by the Earl of Arran in 1546-50 and finally adapted to form an opulent mansion house for the Dukes of Hamilton around 1660. 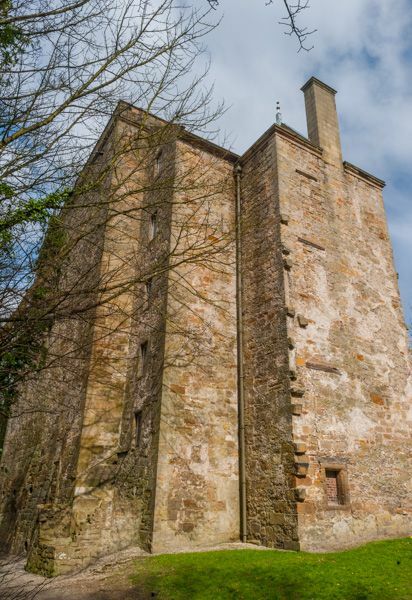 It is now owned by Historic Scotland with the aid of the Friends of Kinneil organisation. In 1323 Robert Bruce granted estates at Kinneil to Walter Fitz Gilbert, an ancestor of the Hamilton family. We know that there was a castle here by 1474, though it stood closer to the sea than the current house. A new castle was erected, probably in the late 15th century, and this is incorporated in the current Kinneil House. James Hamilton, 2nd Earl of Arran, built the east wing, and probably the fortified tower, in the mid-16th century. Arran also planted trees and hedges in a new 'yaird' in 1553. Arran's major contribution at Kinneil is the richly-decorated set of wall paintings, depicting Biblical stories including Samson and Delilah, David and Bathsheba, and Abraham and Isaac. 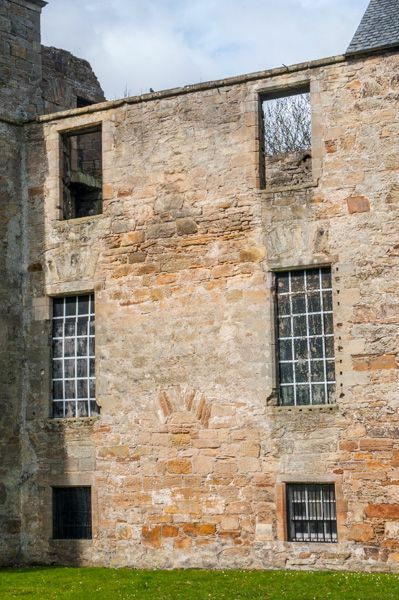 The paint had scarcely dried when Kinneil House was attacked and burned by French troops in February 1560. 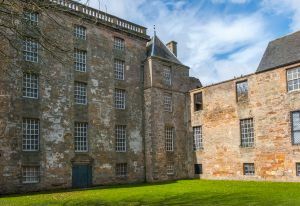 Two years later Kinneil was the setting for a dramatic escape, as the 3rd Earl, locked in his rooms due to his mental illness, escaped by making a rope from his bedsheets and lowering himself 30 fathoms from a high window. Kinneil was damaged by the Regent Lennox after the Hamiltons were implicated in a plot to assassinate Regent Moray. James VI took Kinneil from the Hamiltons and held court here in 1588. The house was rebuilt in 1677 by the 3rd Duke of Hamilton, but later Hamiltons rarely lived there. By 1936 the Hamiltons had abandoned Kinneil House. The Bo'ness Town Council began to demolish the house when the 16th-century painted chambers were rediscovered. Demolition was halted, and the painted chambers were preserved. Unfortunately, the interior of the mansion is only rarely open to the public - see the official website for current special open days, when Friends will guide visitors around the house. You can see the rare Renaissance wall paintings and perhaps spot the resident ghost! The grounds are open, however, and there you will find a simple 18th-century cottage used by engineer James Watt and the boiler from his ground-breaking Newcomen Engine. Watt's experiments into steam engines were funded by John Roebuck, who was resident at Kinneil. Also within the grounds is a section of the 2nd-century Roman Antonine Wall, including a small fortlet a short walk west of the main house. The stable block is now home to the Kinneil Museum, which is operated by Falkirk Council and tells the story of the estate from Roman times to the present. The grounds also boast an area of woodland where you can stroll, or take one of the occasional guided walks. Near the house is Kinneil Church, a ruined 12th-century church that was abandoned in the 17th century, leaving behind only a gable and a collection of historic grave markers. The house itself is not signposted, but the museum is, so it proved relatively easy to find. There is a parking area beside the museum, and the museum staff were extremely helpful in giving us an estate map and showing us the best routes to use to find the Roman fort. You can walk right down the drive to Kinneil House, which is fun as it gives you the sense of what it might have been like to arrive in a carriage hundreds of years ago. 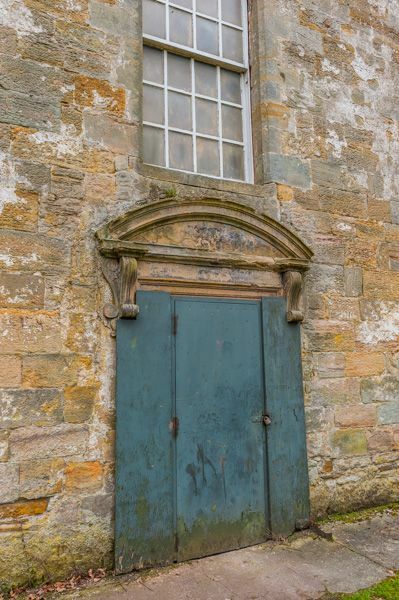 The exterior of the house looks rather sad and in need of TLC, but there are enough architectural details left to give a sense of just how impressive it must have been in its heyday. If you pass around the left side of the house you immediately come to Watt's Cottage, now roofless and in sad repair. A trail leads beside a steep gorge to the medieval church, in a clearing amidst the woods. The standing gable is quite impressive, and there are a number of ancient grave slabs with heraldic symbols, which help give the site an aura of history. From the church you can follow the path across two fields, skirting around a small pond, to the site of the Roman fort. This area can be wet, so it's a good idea to use good waterproof footwear. There are concrete posts showing the outline of the Roman walls, and you can easily see how the fort was laid out. It is a small fort, and won't take very long to see. I can recommend the museum, which outlines the history of Kinneil, and showcases finds from the church, the fort, and the house. Even if the house is closed, the museum has displays which show the elaborate suite of painted rooms. Location: On the western edge of Bo'ness off the A904. Signed for Kinneil Museum.